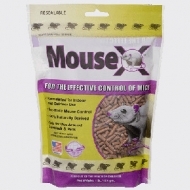 MouseX® has a number of advantages that make it an excellent choice for efficient, effective, and environmentally-friendly rodent extermination. Aside from its overall efficacy and humane rodent-killing process, MouseX® pellets are also completely non-toxic and 100% safe for people, pets, livestock and wildlife. Drive away rodents with the Mini PestChaser®, a device that emits an unsettling ultrasound noise that only rodents hear. 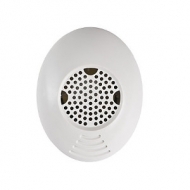 The Mini PestChaser® is easy to use – just plug it in and it immediately begins generating a noise that’s inaudible to people and most pets, but rodents hate. Additionally, each Mini PestChaser® is equipped with a nightlight feature – a soft light that also lets you know the PestChaser® is emitting ultrasounds. Active ingredient: diphacinone. 64 x 1 oz. blocks per pail (Net Wt. 4 lbs). Packed in Tamper-Evident Resealable Pails. 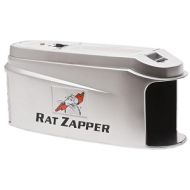 The #1 Bucket Style Mouse Trap on the Market Guaranteed to RID your area of Pesky Rodents for Good! Kill or No Kill Design! Single cell, self cleaning. 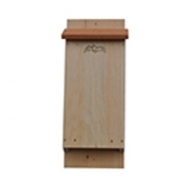 Holds 20-25 bats, dimensions: 10’’l x 24’’h x 4 ¾’’d. 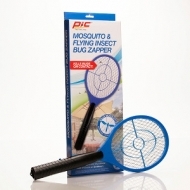 The PIC® Pest Free Living Mosquito and Flying Insect Bug Zapper is a handheld, easy to use racket that kills bugs on contact. 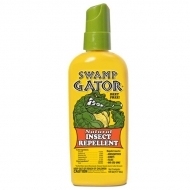 Harris Swamp Gator Deet Free Natural Insect Repellent 6 Fl. Oz. Harris Swamp Gator is a natural insect repellent that uses plant oils to repel mosquitos. It’s family safe and can be used around pets. The formula offers lasting protection so you can enjoy the outdoors! Unique, pleasantly scented granules, made with natural ingredients, repels biting flies from horse stable, barns, bird coops, home pool, patio and porch areas, as well as trash cans. Treats over 2,000 sq. ft. while being people and pet safe. 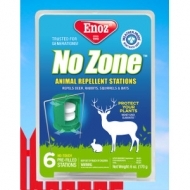 Enoz No Zone™ Animal Repellent Stations are an odor repellent that will keep deer and rabbits from damaging hostas, gardens, flower beds and ornamental plants and squirrels and bats out of attics and wall voids. The weatherproof, camouflaged stations seamlessly blend with the environment for invisible protection that won’t wash away. Each package contains 6 Enoz No Zone Stations with 6 wire stakes. 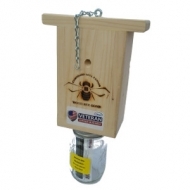 Carpenter Bee Traps: Wood Bee Gone II – traps wood boring bees naturally without the use of harsh chemicals. These carpenter bee traps are highly effective against carpenter bees, otherwise known as wood boring bees. Begins catching bees within the first day if all existing holes are plugged. Attractive, birdhouse-like design. Carpenter bee traps do not attract or harm honey bees. 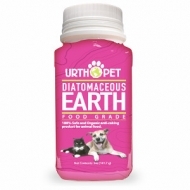 A 100% Food-­‐Grade Diatomaceous Earth product. A natural source of minerals including: Calcium, Iron, Magnesium and Potassium. Omri listed for use in organic production. 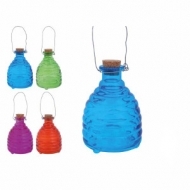 With this small colorful glass wasp trap you can catch a large number of bees. Just remove the cork and add lemonade or sugar water, replace cork and hang from a branch and watch the bees go in and not be able to escape. 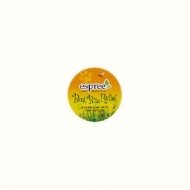 Espree Bug Bite Relief 1.5 Oz. Stops Bug Bite Irritation. Massage in to affected area and allow a few moments to absorb. 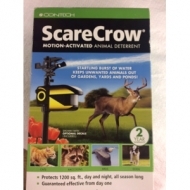 The original ScareCrow motion-activated animal deterrent uses a startling but harmless burst of water to deter pests including: deer, raccoons, heron and cats. Effective alternative to harmful chemicals and unattractive netting. Protects 1,200sq ft day and night, all season long. 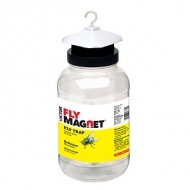 Best used for attracting and trapping flies. 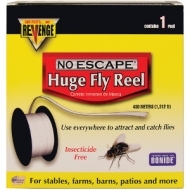 Control those pesky disease-carrying flies in your yard - the patented non-poisonous bait is the most effective on the market! 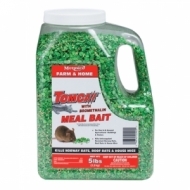 Tomcat with Bromethalin is a cutting-edge rodent bait with an acute non-anticoagulant for sure, fast control. Rodents stop feeding after eating a toxic dose of Tomcat with Bromethalin, so more rodents are controlled with less bait. There is also less risk of secondary poisoning so pets are less likely to be harmed if they accidentally eat a poisoned rodent. 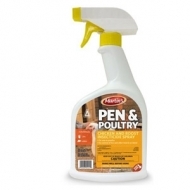 100% non-toxic to people, pets, livestock and wildlife. 100% deadly to rats and mice. 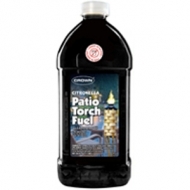 Formulated for indoor and outdoor use. 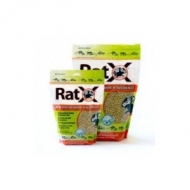 Kills Rats and Mice in 3-5 days. 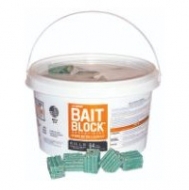 Can be used as a Bait Box Refill to keep bait dry. 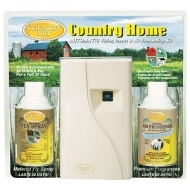 The Country Vet Country Home Flying Insect Kit is great for the farm or ranch in controlling flies, mosquitoes and moths. This dual-purpose kit activates in 15 minutes and acts as an air freshener for fragrance and odor control. Refills last up to 30 days and two D-cell batteries are required (not included). 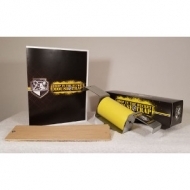 The kit also includes one dispenser, one 6.4 oz fly spray, and one 6.6 oz air freshener. 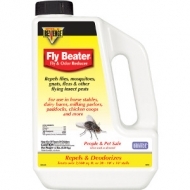 Equine Fly Spray with Rapid Knockdown, Kill and Repellency for up to 14 days. 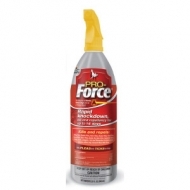 Only for use on ponies, horses, dogs and as a a premise spray. Keeps bugs away for up to 72 hours! 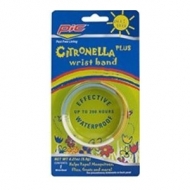 This waterproof band is Non-toxic and DEET free. Multiple use with the resealable pack. One size fits all.